What Happened In 2017: Saw limited MLB playing time, but provided some unexpected postseason heroics. Charlie Culberson secured his place in Dodger history in 2016, when he provided one of the season’s most-discussed moments. The 2017 regular season was not as kind to him. Culberson spent the bulk of the year with Triple-A Oklahoma City, where he put up underwhelming offensive numbers before rejoining the Dodgers in September. He then got just two starts for Los Angeles. In 15 plate appearances, Culberson got two hits (one double) and walked twice. When Culberson didn’t make the National League Division Series roster, it looked like that might be it for him this year. He only found his way onto the Championship Series roster when Corey Seager went down with a back injury. The Dodgers liked Culberson’s defense at shortstop, and anything else they got from him offensively would be an added bonus. Well, Culberson went above and beyond what anyone could have reasonably hoped for. He had at least one hit in every postseason game he started. His playoff slash line of .500/.471/.938 is both absurd and hilarious. He had hits in half of his at bats (8-for-16), and half of those hits went for extra bases (two doubles, a triple and a home run). His OBP was lower than his average, thanks to a sacrifice fly. Culberson started three of the five NLCS games. In his 13 PAs in the series, Culberson had five hits. In the deciding Game 5, he went 3-for-5 with a triple. With Seager back for the World Series, Culberson didn’t get as many starting opportunities. However, he made the most of the chances he did get, getting hits in three of his five World Series PAs. The most noteworthy of those hits came in that wild Game 2. In the 11th inning, Culberson added to the drama with a pinch-hit home run to get the Dodgers back to within a run. That would be it for the Dodger offense, unfortunately, but one can’t fault Culberson for being excited. I mean, it’s Charlie freakin’ Culberson, hitting a home run in the World Series. Who would’ve ever thought? 2018 Status: Pre-arb eligible. 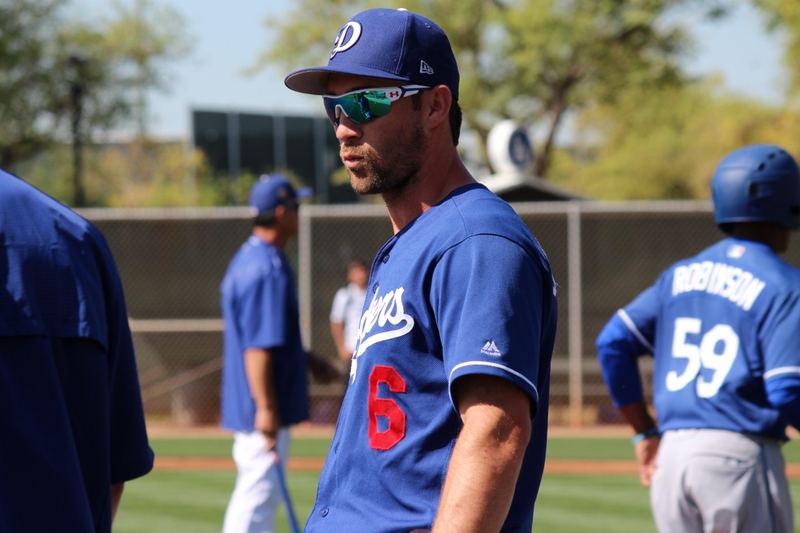 Culberson is out of options and will either need to be on the 25-man roster or will have to pass through waivers to remain in the Dodger organization.